Bank Rakyat Indonesia, One of the Indonesia’s largest state-owned bank increases its customer base and revenue while strengthening its fraud detection capability through machine learning and advanced analytics with Cloudera. 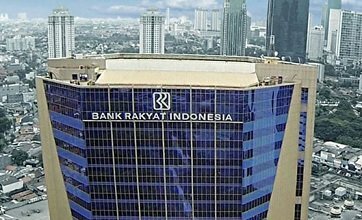 Founded in 1895, (BRI) Bank Rakyat Indonesia specializes in microfinance loans and serves approximately 30 million retail clients through more than 4,000 branches, units and rural service posts in Indonesia. To further grow its business, the bank needed to harness the full value of their customer data to not only retain existing customers but also acquire new ones. Cloudera Inc, stated Bank Rakyat Indonesia, has deployed Cloudera Enterprise to harness the power of their data to deliver better services to its customers and accelerate financial inclusion in Indonesia. By powering its big data platform with Cloudera, the financial institution has expanded its customer base and enhanced its fraud detection capability through machine learning. With the huge amount of customer data gained over the years, the bank set out on a mission to digitalize its operations by deploying a modern data management platform that was scalable, secure and compliant. By replacing its legacy system with Cloudera Enterprise, the bank was able to analyze five years’ worth of historical data and use the derived insights to improve its credit scoring system. The insights derived also revealed a deeper understanding of its customers’ behavior. Armed with this knowledge, Bank Rakyat Indonesia is now able to drive more sales by cross-selling and upselling services that are most relevant to individual existing customers. Bank Rakyat Indonesia has always been committed to the Indonesian government’s 2020 Go Digital Vision and has focused on accelerating the rate of financial inclusion in Indonesia. Previously, Bank Rakyat Indonesia distributed loans in traditional models which are often time-consuming and require a lengthy process. This was an impediment in driving the rate of financial inclusion. By adopting a data-driven approach and applying machine learning, Bank Rakyat Indonesia has increased the uptake of digital loans and improved the productivity level of processing credit loans by up to 50%, reducing processing time from two weeks to two days. According to the Global Findex Database 2017 report, almost 50% of the adults in Indonesia now own a bank account, reflecting the progress the nation has made in boosting financial inclusion. And Bank Rakyat Indonesia aims to further narrow this financial inclusion gap by providing greater access to their loans with the introduction of an app. To address the mounting concerns around data security from both regulators and consumers, Bank Rakyat Indonesia has also recently embarked on a pilot project to enhance its fraud detection system. Cloudera Data Science Workbench is being used to develop a machine learning model for fraud detection by leveraging data from multiple data sets. The model will be deployed and served in real-time by utilizing HBase as its backend data store. With the newly developed fraud detection system, Bank Rakyat Indonesia will be able to process and detect fraud in real time by highlighting anomalies found in the stream of events coming from multiple customer touch points such as ATMs and internet banking portals.